Celebrate the season in joyful style with our fast & easy mini table treat project. 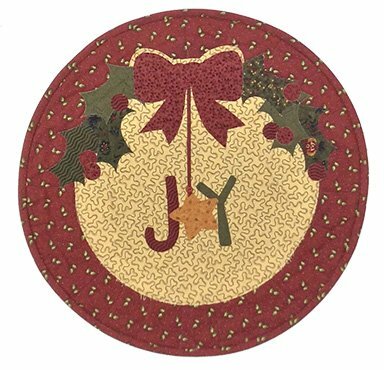 Precut fusible appliques (KT Kut-ups) make it even easier! Pattern for round table topper, runner & 2 styles of pillows included. Kit includes fabric for front, back & binding plus KT Kut-ups & pattern - just add batting! KT Kut-ups for Holly Joy also sold separately.